The perfect combination of sugar and spice! 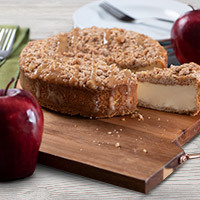 Inside our signature graham cracker crust, we've brought together two classic treats to create one irresistible dessert! 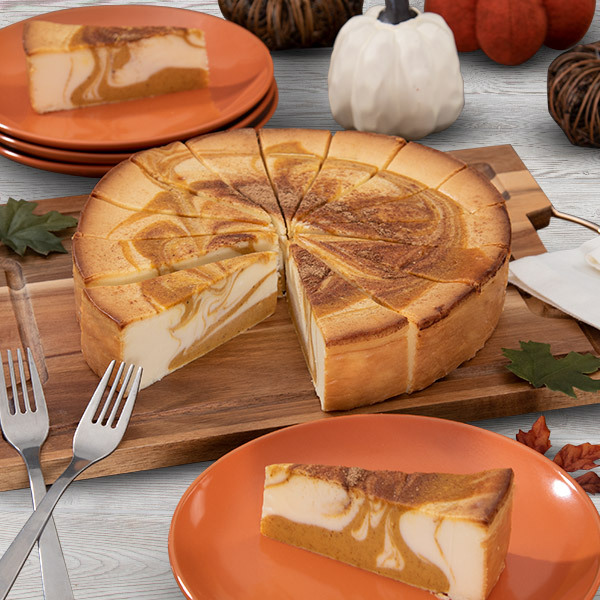 We've blended sweet pumpkin puree into our exquisitely smooth cheesecake filling and elegantly topped it with a thick layer of classic whipped cream that's evenly dusted with freshly ground cinnamon. Purchased this for Thanksgiving. Every bite was delicious--including the fresh whipped cream dusted with cinnamon on top. Full of creamy richness, this was a big hit. I have ordered more as gifts. They are well packaged on dry ice and styrofoam coolers. Arrived just in time for dessert for my dinner part. Well packed. Tasted wonderful! 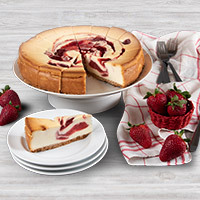 I purchased the cheesecake for my son for his birthday, I did not get any ( we live in different states). He and his family said it was delicious. This is the second one I got for him. 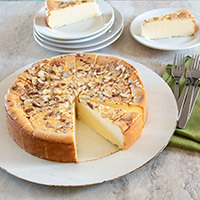 This cheesecake was absolutely delicious, everyone loved it. 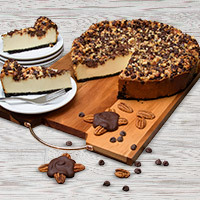 Purchased this as a gift for Thanksgiving and it did not disappoint, it was delicious and arrived on time as scheduled. Would definitely order from them again.